You will love this straight forward, paper pieced block with Native-American applique symbols. 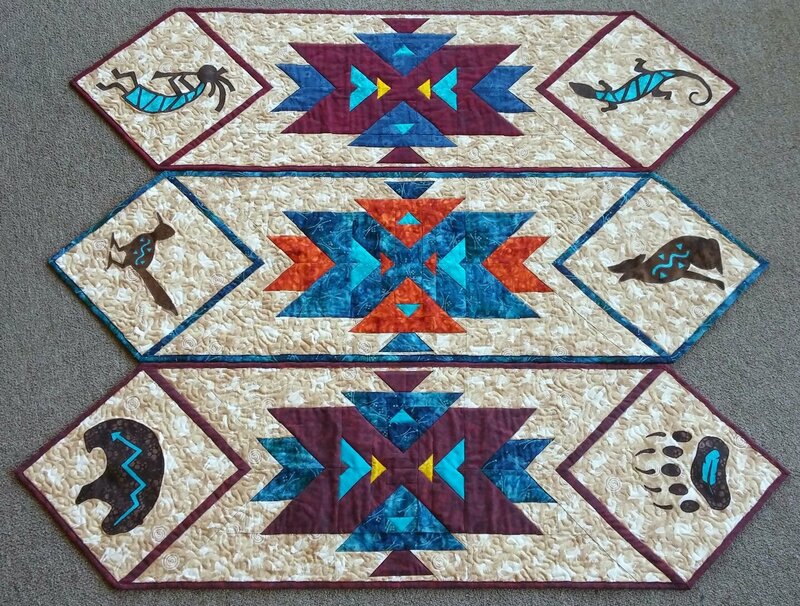 This pattern includes printer ready paper piecing templates, a Kokopelli and Lizard applique templates and directions on how to put it all together. Don't know how to paper piece? The web address for an in-depth online tutorial specifically for paper piecing the southwest block is included with the pattern. *Alternate Native-American applique templates sold separately.